Data from Lake Jyväsjärvi are provided by Jyväsjärvi-Päijänne Research Environment, University of Jyväskylä. Please visit their website for more information on this project. 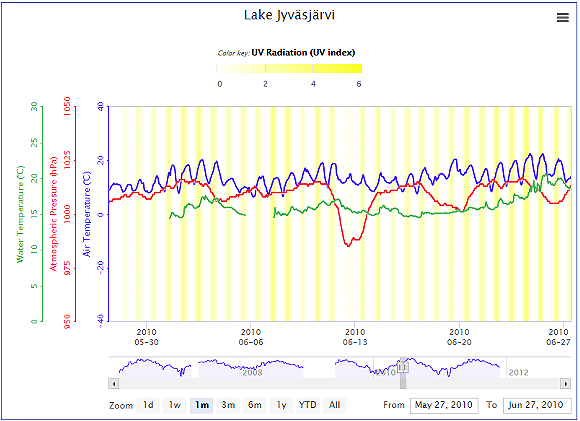 An alternative is to download and open this file: WOW_LakeJyvasjarvi_dataVisualizationTools.jnlp, which will launch the original Java version of the WOW Data Visualization Tools, but it will run outside of your browser.